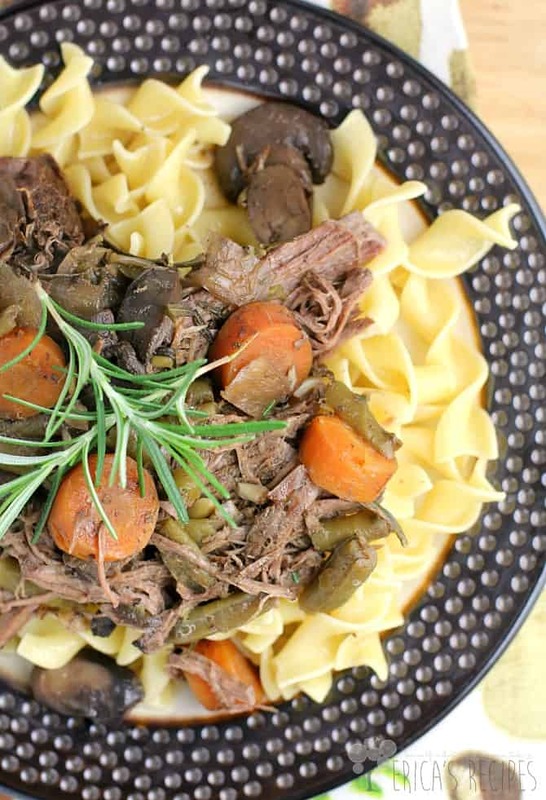 Tender slow cooker rosemary pot roast with fresh rosemary and veggies, slow cooked in the crock-pot straight from the freezer for an easy, weeknight dinner to welcome you home. So what I did here was simply season and sear some pot roast beef, then throw it into the freezer with a couple other ingredients. A month later, I pulled it out, threw it in the crockpot with a splash of red wine in the morning before work …let it go on lowwww …then I came home to a crockpot full of tasty tasty. All I had to do was make some quick noodles to go with, and we ate. And ate and ate. 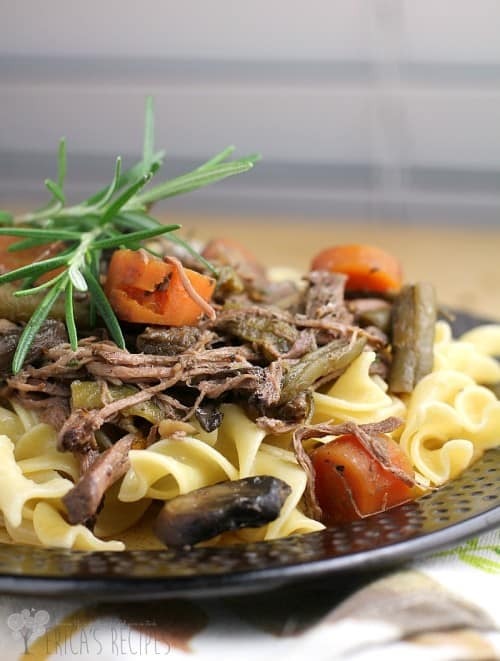 Now, the only real trick to this recipe is to let it cook long enough that the meat passes that tough phase that all meat goes through, and ensure that it enters that glorious tender phase when you can just easily pull it apart. If you get home and it’s not quite there yet, just let it go another 30-40 minutes and check again. It will get there 😊. Clearly, starting with frozen meat means the crockpot will have to thaw THEN cook. So patiennnnce my friends. It is worth the wait. So that’s it kids! A spectacularly simple recipe to make our lives just a bit easier, and give us a cozy bit of comfort during the busy week to boot. With flavors and aromas that will waft through your home and make you the envy of your little corner of the neighborhood. Heat the oil in a skillet on high heat. 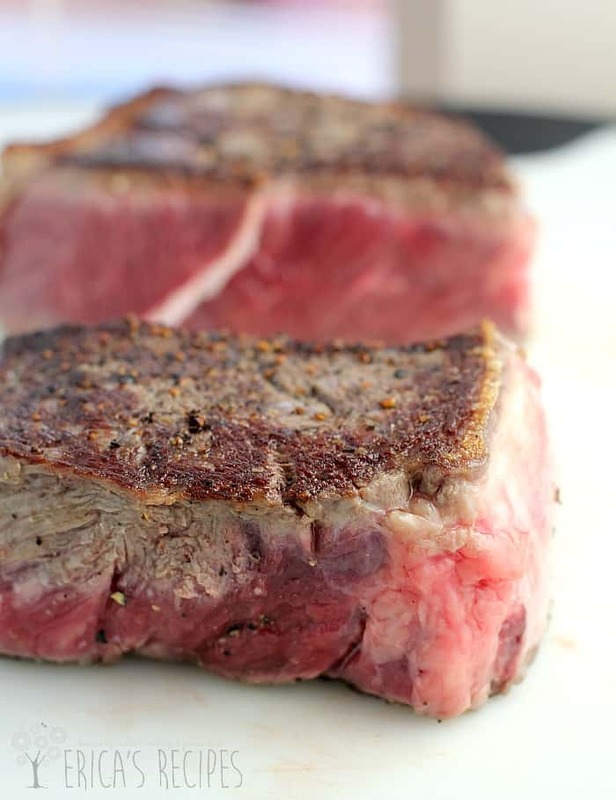 Cut roast in half to make 2 pieces and season with salt and pepper. Sear the meat in the hot pan, browning well. Put the seared roast, onion, mushrooms, carrots, green beans, garlic, and rosemary sprigs in a large ziploc bag. Freeze. Yields 6 servings. 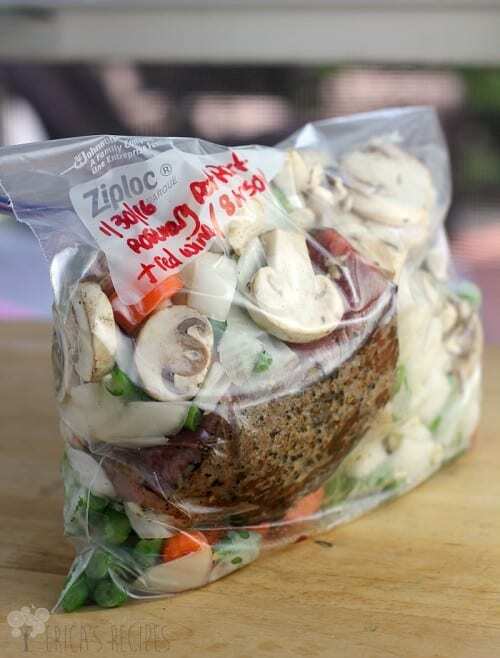 To cook, transfer the contents of the ziploc bag to your crockpot. Add a splash of red wine. Cook on low for 10-12 hours. Leave me a comment and let me know what you think! Otherwise, I’m just talking to myself here. 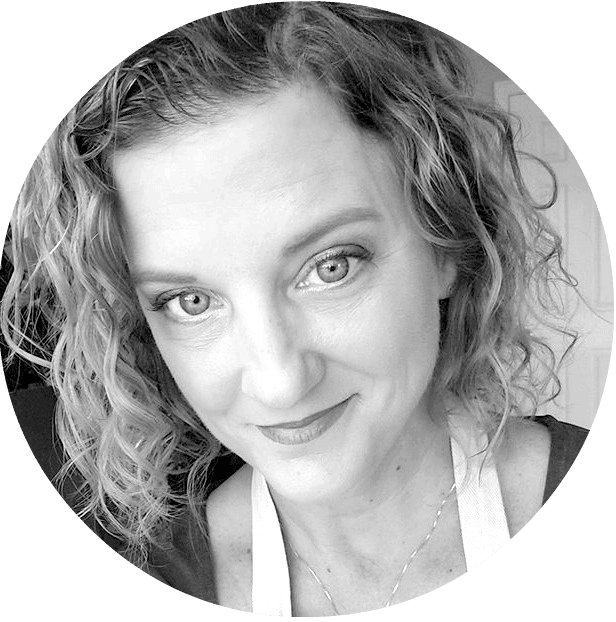 If you have an idea for a freezer-to-crockpot dinner, lemme know! I love using rosemary. We have a huge bush in our front yard. 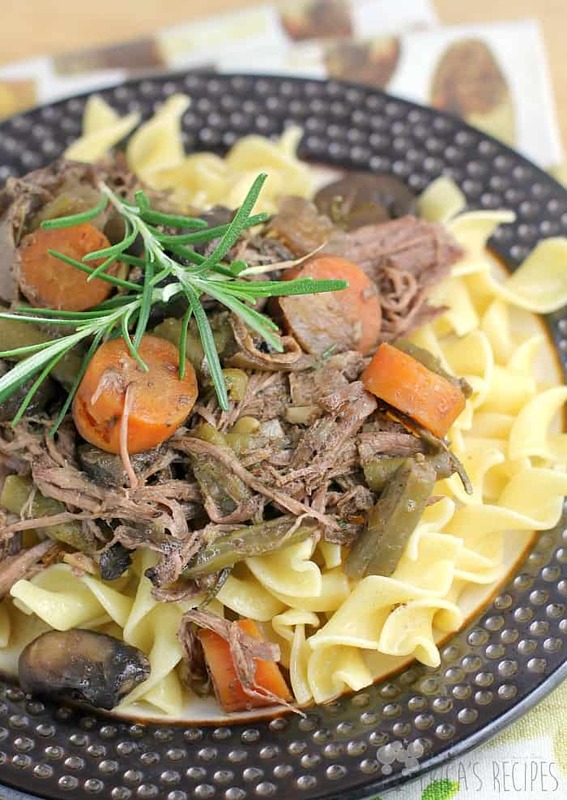 I am thrilled that this is so easy and freezer to slow cooker. It will solve my Tuesday night dinner dilemmas. What great flavors here Erica! 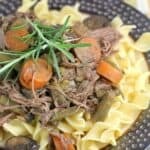 I love easy freezer slow cooker meals. Can’t wait to try this one. Mmmm, perfect family friendly meal! Looks like a delicious winner for all! Do you have any suggestions for halving this for a single serving (and a single person)? Two pounds of meat is a lot. 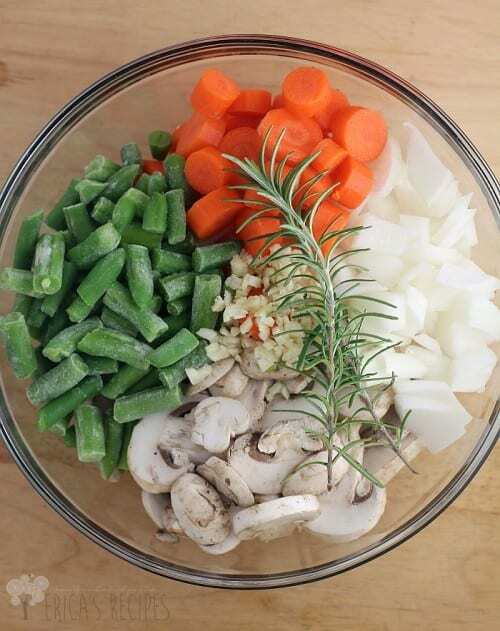 I love freezer to crock pot meals. I can’t wait to try them.